From a science standpoint, spray foam insulation is a much better insulator than cellulose or fiberglass insulation. Heat does not transfer as easily through due to its chemical structure. It also fills in irregular shapes and cracks that other insulators may not be able to do, which prevents heat convection. Spray foam insulation is not only a great insulator but is an excellent air sealant. With its chemical makeup, unfiltered air cannot travel through which will greatly increase the indoor air quality within your home or office. In addition, it also does a better job of absorbing sound so that you have a much quieter environment. 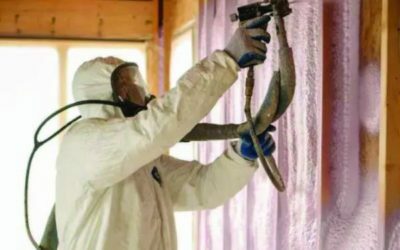 Both cellulose and fiberglass insulation will settle overtime and after a few years, new insulation will need to be installed in order to keep the same insulation value. Spray foam insulation does not settle or shrink. So although the cost of spray foam might be higher on the front end, over time it is the smarter investment. In addition, spray foam improves the structural integrity of the building construction (a bonus!). 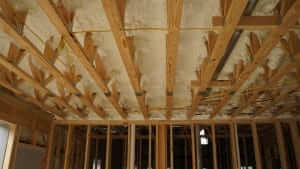 There are two different types of spray foam insulation: open-cell and closed-cell. Both are excellent insulators and air sealants but there is one major difference between the two. 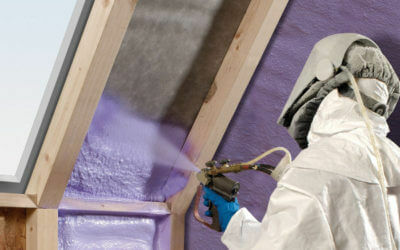 Closed-cell spray foam is waterproof. We install closed-cell spray foam insulation in many crawlspaces and basements solely because it is the best way to prevent moisture problems occurring such as mold and mildew. Mike Holmes from HGTV would agree. Click here to see his opinion. Here’s our very own Mason Reeves in action.